Hold on to your hats knife fans. 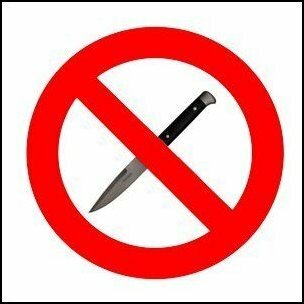 It is only a matter of time before even stricter knife laws come our way. Here’s the headlines of an article in today’s New York Times: KNIFE KILLINGS IN CITY INCREASED 50% IN 2008. As a follow-up on the news of eBay banning all knife sales on their UK and Ireland sites, the Brits are beside themselves. I am following a few of the threads over at BritishBlades forum (mostly custom knife owners) and they are are not happy campers right now. “This (ban) is obviously going to impact all of us in various ways, I sell quite a few on there, and regularly buy knives I want for myself from American dealers which will also be impossible. We all know its ridiculous, but there’s probably naff all we can do other than find another auction site to trade through. While this post by John is on the calmer side of all the buzz, it summarizes their situation pretty well. So much for eBay sales there for US sellers, including custom makers, right at the time every sale is important to keep the knife biz healthy. The Great Debate: Which is more lethal a knife or a gun? I am not an advocate of knife violence (especially considering the knives I have are mostly 100 year old pocketknives), but I found this guy’s argument that a knife is more lethal than a gun to be quite absurd. Making knives to be “the problem” is akin to treating a symptom, not the underlying cause.